Vacant lots in Roseland and Pullman will be available for $1 through the city's "large lots" program. 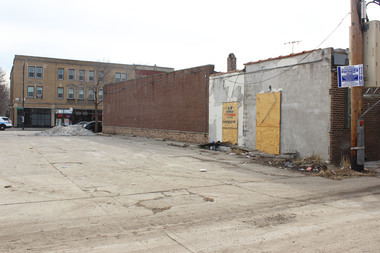 CHICAGO — Having successfully returned hundreds of blighted properties to the tax rolls, the city has announced it will expand the $1 property sale program to Roseland and Pullman. More than 300 vacant properties in the two Far South Side neighborhoods will be sold for just $1 through the city's "large lots" program, which seeks to encourage beautification and development in specific neighborhoods through the unloading of city-owned properties on the cheap. Applications for the 286 Roseland lots and 20 Pullman lots will be accepted from Tuesday through Oct. 31, Mayor Rahm Emanuel's office announced Friday morning. The city said applications can be found at largelots.org. This is the fourth iteration of the program, which began in 2014 in Englewood before expanding to East Garfield Park and then Austin. More than 430 lots have been sold in Englewood and East Garfield Park, and the sale of another 90 lots in Austin is awaiting approval from City Council, the city said. The properties are typically vacant lots that were turned over to the city through property-tax delinquency or demolition liens. In order to qualify as a buyer, an applicant must: own property on the block, be current on their property taxes and have no outstanding city debt, according to the city. The properties are sold as-is, the city said. Emanuel in 2014 announced the program as part of a five-year housing plan and touted their financial benefits by moving property upkeep costs to the private sector while also putting hundreds of properties back on the tax rolls. Many of the properties have been bought by next-door neighbors, community groups and nonprofits. Some have used the program to expand their properties or make community areas.